No, the photo to the left is not of Stephen Malkmus (although the resemblance is quite uncanny, no?) Even today the majority of Zeppelin fans still do not know that the band’s epic “Dazed And Confused,” off their eponymous debut, was in actuality a cover tune. 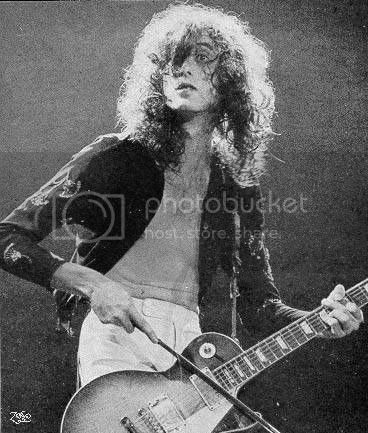 During a U.S. American tour in the late ’60s the Jimmy Page led version of the Yardbirds shared a NYC Greenwich Village gig with the American folk singer Jake Holmes. The band became enamored of the folkie’s dark and mysterious song and re-worked it into their nightly set list, usually closing the show with it showcasing Page’s trademark guitar/bow combination. In a somewhat charlatan move, Page solely credits himself as songwriter on the Zeppelin debut. While the Zeppelin workup of the song is quite fantastic, the original is quite potent in it’s own right – a very folk-sixties-psychedelic sound. 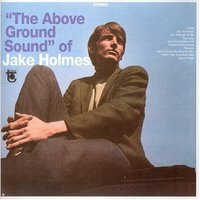 The track can be found on Holmes 1967 debut The Above Ground Sounds of Jake Holmes. Led Zeppelin ripped someone off? Shocking. Excellent tune! Angry and moody with a Leonard Cohen vibe and that sixties psychedelic sound as you mentioned. It’s a shame they didn’t credit him on the album since it’s obviously his song, but then there are probably many things Led Zep didn’t credit. Reminds me of Bob Dylan’s 1962 WABI radio interview where he freely admits stealing the chords to “Emmett Till” from another folk singer whom he didn’t credit on the album. the original…..was done by The Yardbirds featuring Jimmy page only they called it Im So Confused. any connection between Jake Holmes and Josh Holmes? you are correct whatsaname. re: josh, there is no connection that I am aware of. I love Led Zep, but they were master thieves. Check out The Small Faces “You Need Love” some time. The Faces didn’t write the song, but LZ lifted parts of the SF’s performance for “Whole Lotta Love”….Robert Plant owes his whole vocal style to Steve Marriott.